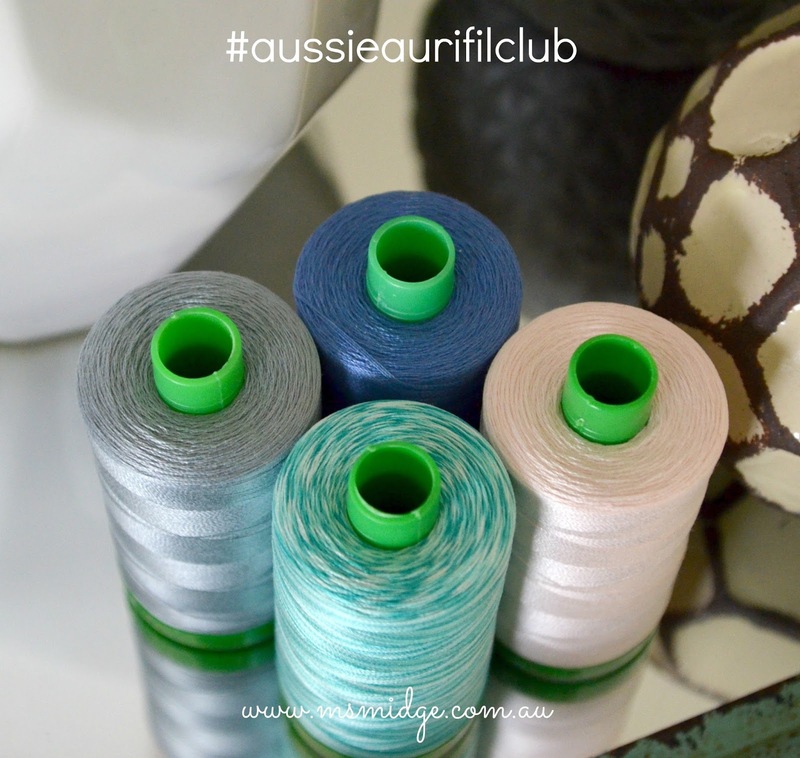 I had so much fun choosing my thread bundle for the #AussieAurifilClub! That said, I didn't find it a particularly easy thing to do. On the one hand, I am someone who makes decisions about my work as I go along. When I start sewing a quilt top, I generally have no idea what the binding will be, let alone what thread I will use to quilt it. When I looked at the bundles that other people had chosen, many of their choices seemed obvious. Many of them have a signature colour range and the threads reflected that. 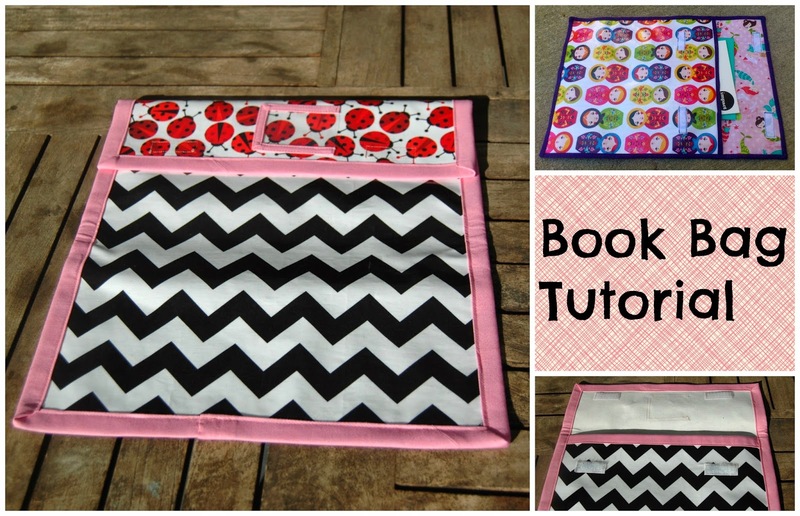 If I'm honest, my use of colour in quilts tends to be a bit all over the place. 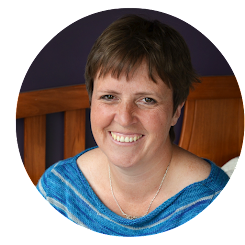 I normally choose colours, fabrics and by default threads to suit a pattern rather than writing patterns to go with specific fabrics. I thought about choosing threads for a specific project, but that was not an option as when I made my choice, all off my projects were ones which required secrecy for a few more months. That said, I do have a tendency towards teals, aquas, greens and blues, I guess you could call it my colour comfort zone. As such, this seemed like a logical place to start. I went for a variegated green thread as I have really enjoyed quilting with variegated aurifil recently. Where I normally treat the background and the foreground differently when quilting, variegated thread allows me the freedom to quilt over the subject without it looking too intrusive. My next choice was a neutral grey- always practical and a good fallback for those times when you don't have the exact colour that you want to press on with a project without waiting ages for thread to arrive. Next up was a light thread for those times that I am quilting low volume backgrounds. Although white is generally a perfectly acceptable choice for this, it is fun to more closely match the background. This is also a colour that I will consider using when quilting the light feather or fur details on birds and animals. I wanted to add a pop to the bundle and have been really drawn towards deep rich blue tones recently. This was the final colour chosen for the bundle, but it has to be the one that I am most looking forward to sewing with. Isn't it stunning? When I stood back and looked at my bundle together, they reminded me of the source of so much of my inspiration- the great outdoors. I saw the amazing blue of a Summer sky in New Zealand, the varied greens of the countryside, a hint of cloud and the grey of a threatening storm or a scree field. I pulled all these influences together and called my bundle Mountain Air. 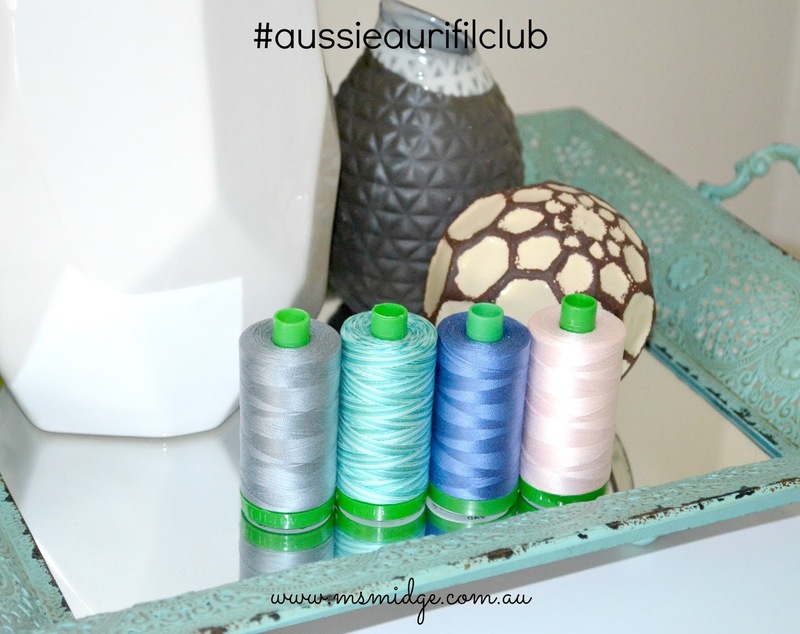 If you are interested in joining the club and getting your hands on my bundle, you will find all the details at http://www.msmidge.com.au/aussieaurifilclub/. You can choose to have the threads in any of the thread weights - 50, 40, 28 or 12. It is your choice whether you receive small or large spools. There are options there for Australia and New Zealand. If anyone from another country wishes to subscribe they can email Melissa and she will set it all up (there is a contact form on her blog).